Enjoy this spell-binding preview of and purchase "Witching Hour" to add this song to your Halloween collection. 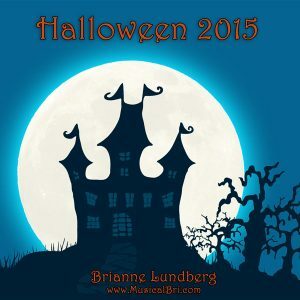 "Witching Hour" Song Preview: Want my entire Halloween 2015 collection? Purchase the bundle for a discount! Enjoy this preview of "Spooky Spectres" and add this song to your Halloween collection! Purchasing this song is sure to send shivers your spine. "Spooky Spectres" Song Preview: Want my entire Halloween 2015 collection? Purchase the bundle for a discount! Away In A Manger (Single). Listen to the clip below. Song Preview: From the album A Classic Piano Christmas Volume 1. Joy To The World (Single). Listen to the clip below. Song Preview: From the album A Classic Piano Christmas Volume 1. Hark, The Herald Angels Sing (Single). Listen to the clip below. Song Preview: From the album A Classic Piano Christmas Volume 1. God Rest Ye Merry Gentlemen (Single). Listen to the clip below. Song Preview: From the album A Classic Piano Christmas Volume 1. O Christmas Tree/The Holly And The Ivy (Single). Listen to the clip below. Song Preview: From the album A Classic Piano Christmas Volume 1. Bell Carol (Single). Listen to the clip below. Song Preview: From the album A Classic Piano Christmas Volume 1. Here We Come A-Wassailing (Single). Listen to the clip below. Song Preview: From the album A Classic Piano Christmas Volume 1. What Child Is This? (Single). Listen to the clip below. Song Preview: From the album A Classic Piano Christmas Volume 1. Ding Dong! Merrily On High (Single). Listen to the clip below. Song Preview: From the album A Classic Piano Christmas Volume 1. We Wish You A Merry Christmas (Single). Listen to the clip below. 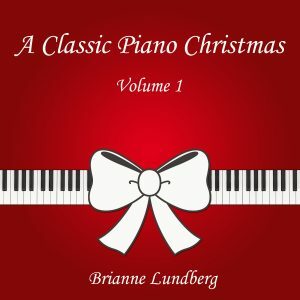 Song Preview: From the album A Classic Piano Christmas Volume 1.